“For me, music is a simple job,” reckons Cédric Steinmyller, AKA 26-year-old French producer Klingande. “I love technology and I love the power it gives me in the studio, but when it comes to writing songs, I can only go so far. There is a point when I know that I am trying to make something that is too complicated. Steinmyller used that musical ‘simplicity’ to great effect on his 2013 debut, Punga, and its follow-up. The sun-drenched, sax-driven groove of Jubel took Steinmyller and his then-musical partner Edgar Catry to the top of charts all over Europe, and had industry watchers excited about a new sound: tropical house. 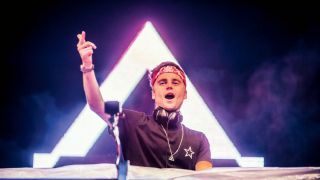 Artists like Klingande, Robin Schulz and Kygo were welcomed with open arms by the US, who were looking for a chilled alternative to predictable, big-room EDM anthems. Sadly, the duo parted company not long after Jubel, but Steinmyller carried on using the Klingande name - apparently, it means ‘chiming’ in Swedish, and Steinmyller is a big fan of the Swedish house scene – and the tropical house sound. Steinmyller is not what you’d call a prolific producer. On average, he puts out a new single each year, backed up by plenty of live shows, but this year saw the release of Rebel Yell, featuring a pure and soulful vocal from Jamaica’s Krishane, and the somewhat surprising single, Hope For Tomorrow. A collaboration between Steinmyller, Autograf and Dragonette, Hope For Tomorrow is neither tropical nor house. If anything, it sounds like Portishead without the rough edges: nicely produced, but dark and rather lonely. Is this a new direction for Klingande? “No, this isn’t the new sound of Klingande. I suppose I have to call it an experiment. It’s a song that took over a year to put together and, at the time, I was listening to a lot of future bass, like Flume. It was something different for me and I started to think about making that kind of song in the studio. “Writing songs is something that I like to keep simple, but there are also going to be times when you’ll need to get out of your comfort zone. I’m not talking about getting too complex and adding 50 different parts to your song here… I’m talking about finding a different kind of sound. The song title, Hope For Tomorrow: is it a comment on world events? A sneaky dig at the Trumpster? As well as the two singles - a rarity for Klingande - there’s the seemingly ongoing tour. The live shows appear to have morphed into good old fashioned ‘gigs’, with a band on stage and people playing live instruments. “Right from the very beginning, I wanted there to be a human quality to the music I was making. It wasn’t so easy at first. When you don’t have any money, you can’t hire a real sax player or a percussionist, so you end up using plugins and trying to program something that sounds organic. It is possible. 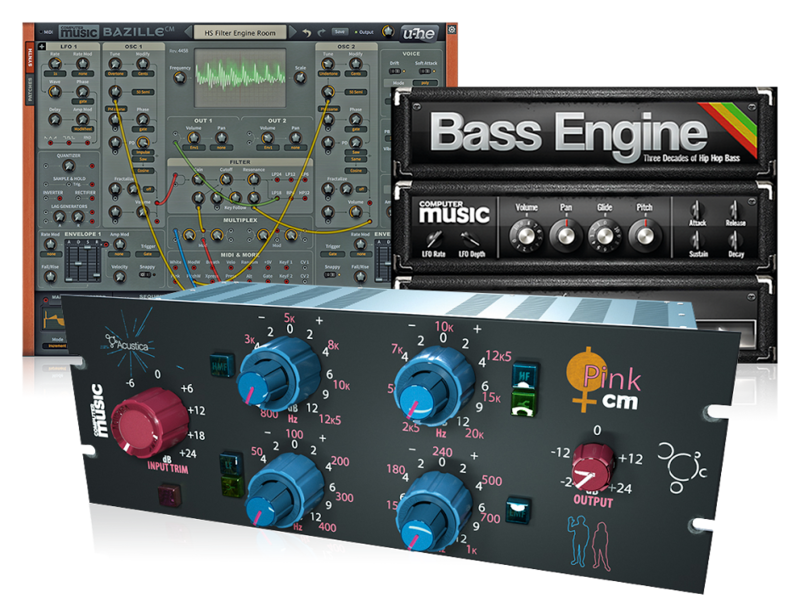 You can spend a day in the studio with the latest guitar plugin and write your guitar part. But, when you start putting that song together, the guitar will still sound fake. Sorry, but that’s my opinion. “There are some things you can get away with, like bass. I use Trilian a lot, and with a bit of effort, I can get the results I need. All the bass on Jubel was from Trilian. But if you’re looking for a professional finish to the sax or the guitar, it needs to be somebody playing that instrument. Technically, I agree that you can program the perfect melody, but you lose the flow… the humanity. A live performance makes the song feel more relaxed. We’ve all had great nights being entertained by someone with two turntables and a microphone (copyright: Mantronix). Well, two CDJs, a laptop, a very expensive mixer and a microphone. “Oh, sure. Absolutely. I’m not trying to say that what I'm doing is better, but when it comes to me being up there on stage, I like to be with other people. The feeling in the air is different to when it’s just me and machines. I’m on stage with my friends, so I feel happier and more confident. It’s easier to make a connection with the crowd. You can spend a day in the studio with the latest guitar plugin and write your guitar part. But, when you start putting that song together, the guitar will still sound fake. Sorry, but that’s my opinion. Do you think we’ll see even more live performances at the festivals and clubs? “I hope so. It’s a cool thing and I think people enjoy it. At the moment, there are some problems. If you play a show at a place that is only used to having DJs, then they might not be able to work with a live band. Suddenly, you give them different leads, and there are bits of equipment all over the stage. If the engineers are only used to handling the output from a CDJ, you’ll be in trouble. Are all the live instruments that appear on Klingande tunes recorded at your studio? “Unfortunately, my studio is still in my house, so it’s not so easy to record a live sax or a drummer. The neighbours might not be so happy! If it’s an acoustic guitar, no problem; but for anything else, I go to a professional studio. You get a cleaner sound… a more powerful sound. You need that space. “Ideally, I’d like to move the studio out of my house, because I find working from home too distracting. Sure, it’s nice to finish your breakfast and walk straight into the studio, but it’s also nice to walk back into the kitchen and make a cup of coffee. And switch on the TV. In one of your interviews, you said you started with FL Studio. Is that still your platform of choice? “Yeah, I’m sure I read in the magazine that Axwell used Logic, so I said, ‘I want to have the same software and I want to make music that sounds as good as Axwell and Aviici’. Following Computer Music tutorials really gave me the confidence I needed in the early days. Starting from zero and trying to make music on a computer isn’t easy… you need some help. “Of course, when I started to make my own productions, they sounded nothing like Axwell and Aviici. I tried so hard! I would listen to a favourite track and break it down into small pieces. What's the hi-hat doing? How many melody lines? I was always disappointed, but it was a good experience. Looking back, I probably could have stayed with FL Studio, and might have even got better results. I think the creative process is ‘smoother’ in FL Studio, and it’s definitely easier to put together a good beat. Eventually, I learned how to do it in Logic, but I would still recommend using FL Studio if you’re looking for a more simple way to learn music production. “It took me a long time to really learn Logic, but it feels natural to me now. The native synthesisers are great - just as good as a lot of the third-party synths that you pay lots of money for. When you look at the screen, all the information you need is there. When I tried Ableton [Live], I found it confusing, because I couldn’t find what I needed. A bit messy, maybe. “But there are also things that Ableton does much better than Logic. Timestretching used to be a problem, but they finally fixed it. I also miss some of the native Ableton plugins like Reverb and Multiband Compressor. And I have to mention that Logic seems to crash more than all other DAWs I’ve used. Maybe that’s just me! You like having lots of new toys to play with? “I go crazy! If I hear about a new plugin, I have to try it. I like the idea that I can get hold of a sound before everybody else is using it. And then you have all the fun of finding out what a plugin can do, and how far you can push it. “That was definitely the case with Serum. When I first got it, I thought, ‘Yeah, this is a pretty cool synth’, but then you keep going deeper and deeper. I’m always discovering new sounds. u-he, too. Diva. Very powerful. We haven’t mentioned piano yet. Along with the sax, it’s become an integral part of the Klingande sound. “My dad is a big music fan, and when I was a kid, he wanted me to learn the piano. I started having lessons - as a youngster, you always do what your parents tell you! - but I eventually moved away from it. I loved music, but the piano didn’t bring me much joy. I’m not a synthesiser professor. I have no problem with starting a song with a preset… it keeps things flowing while you’re putting the song together. Was it learning the piano that gave you an understanding of song structure and how to write a song? “No, not at all. That all came later, after I started DJing and trying to produce my own songs. Watching how a crowd would react to certain parts of a song - that was my education. “I found learning to DJ much harder than learning the piano! This was over ten years ago, when the pitch control wasn’t as precise as it is today. I wasn’t playing vinyl, but it was still a challenge to get the tracks to line up on budget equipment. You’d found your spiritual home? “This will sound weird, but the club never felt like my spiritual home. I never really went ‘clubbing’. I didn’t want to party every weekend. All that interested me was the music. For a while, it was quite lonely. I spent a lot of time in my bedroom, practicing and practicing, finding the perfect mix or learning how to write a song of my own. The only time I went out was if I could persuade my dad to lend me enough money to take to the record shop!